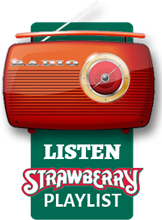 This year’s Spring Strawberry Music Festival will take place on May 23rd – 27th at the Nevada County Fairgrounds in Grass Valley, CA. To see the full lineup to date, visit our Spring Festival Lineup page. For general information about the festival, please visit our website or call the Strawberry office.